An honorable invitation to the welding elite that use and prefer Sawyer equipment. The standard Ambassador term is one year. Throughout the year, we will track your equipment and check in with you to discuss functionality and troubleshoot if necessary. We value your years of experience and look forward to partnering with you! Spread the word about Sawyer and provide us with invaluable insight and feedback, the good, the bad and the ugly– it all helps! Interact with Sawyer through photos and videos of you, your equipment, you using your equipment and sporting Sawyer gear, we love any and all pictures. Be our “eyes and ears” and report on-the-job trends and needs. Referrals – we are always on the lookout for great Ambassadors like yourself. And show your support for Sawyer by wearing Sawyer gear and spreading the word! What does an Ambassador get? Best of all..free equipment that is yours to keep! Our Ambassadors receive our most current products and information, often before market availability. Cool Sawyer swag, like hats and stickers, for yourself and your buddies. And even better swag like coolers and Carhartts for program completion and referrals. Along with all this free stuff..you also get full access to support and resources and quarterly contact with Sawyer for product feedback. 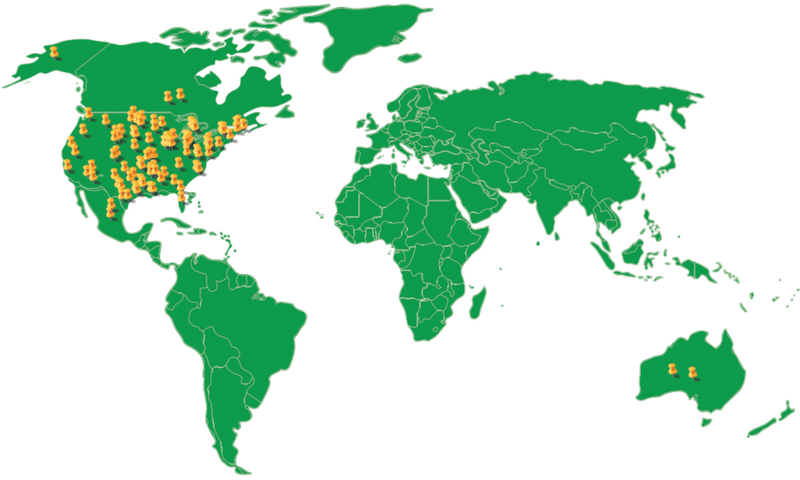 Currently, we have Ambassadors throughout the US and in Canada and Australia. If you or someone you know would like to become one of our Ambassadors CONTACT US today. My favorite part of the program is getting to help develop the tools and equipment that are going to be the future of our industry. It's nice being part of a team that is developing technology for pipelining. I like to receive the equipment that Sawyer sends me to try out. I like to share it with my fellow welders and talk to them about it and see if there is any way that Sawyer could improve the product. I like to be able to give my feedback, good or bad, and feel like someone is listening. Being an Ambassador has helped in a lot of ways. I have received tools for free that I needed to purchase for my rig anyway, I have talked to people in charge of manufacturing tools and equipment in a field I love. Being a part of the program is a privilege to me. I feel lucky to be a part of it. The program introduced me to some products I didn't realize Sawyer had that have helped me save time onsite and increase the quality of my work. I highly recommend this program to any welder who is serious about their work and tools.